Todd J. Courtney was raised in San Jose, CA for most of his life. 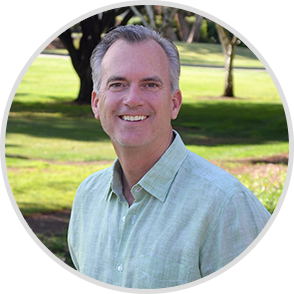 He has spent the past 25 years as a business owner/investor and during the last 5 years, he was teaching what Wallace D. Wattles calls “thinking stuff” to business offices in San Jose. During this time of teaching, while raising three kids of his own and teaching them the same techniques, he realized his passion lies with helping our youth understand that they too can create the life they truly dream of. In addition to his first book, “Thinking in One Direction,” and with more to follow, Todd created TeensCanDream.com as a “go to” site for teens to find an array of short eBooks on a variety of topics, as they seek the answers to their individual questions. This site is dedicated to all the teens, pre-teens and young adults out there who are looking for answers, but didn’t have a single source to find them. In addition, and not limiting his target at teens and young adults, he and his wife, Jackie, created a new genre of nursery rhymes with the purpose of helping our youth during the early years of learning. You can find their books at InspirationalNurseryRhymes.com. Not stopping there and seeing how disease such as cancer, diabetes and obesity are affecting our youth at younger ages, Todd created the first ever animation video to help kids with leukemia think themselves healthy during treatment with their doctors. When asked, “Why leukemia? Does someone you know have it?” he responded with, “No. It was just an idea in which I felt compelled to create.” With absolutely no experience on how to create an animation video, Todd explains in detail how things came about in divine order.